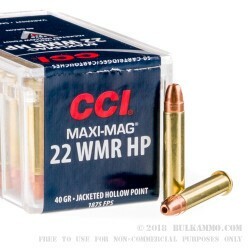 This 22 WMR round is ideal for your next varmint hunt. 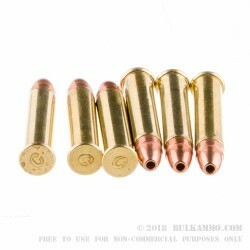 It is equipped with a lead, hollow-point bullet, and it contains CCI’s sure-fire priming. Muzzle velocity for this round is 1875 feet per second. This round is manufactured by CCI, an Idaho-based manufacturer which has been in business since 1951. 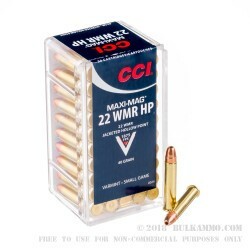 CCI produces a reliable, accurate cartridge which will perform, time and again. 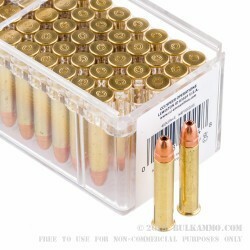 Plus, each round comes packed in a reusable plastic case with an easy-to-handle lid.